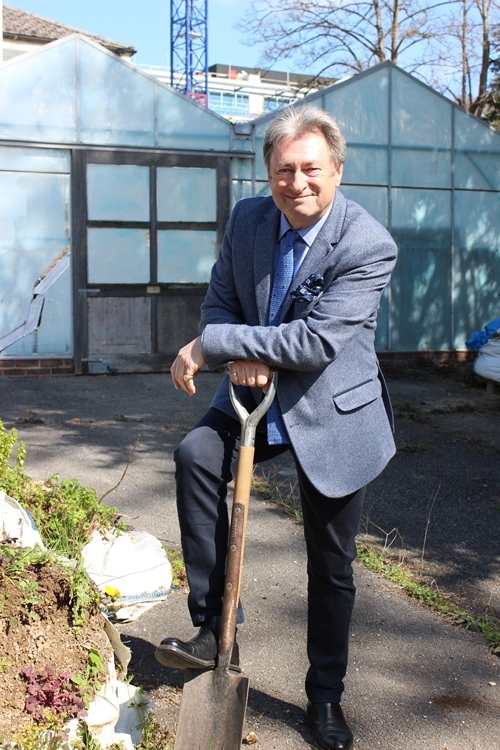 BRITAIN’S best-known gardener has dug in to show his support for the campaign to create a hospice for Winchester. 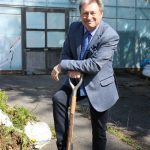 Alan Titchmarsh, who is best known for hosting the BBC garden makeover series Ground Force, visited Burrell House at Royal Hampshire County Hospital to put the first spade in the ground in what will become the garden at Winchester Hospice. The garden will allow patients and their loved ones to spend special time together. 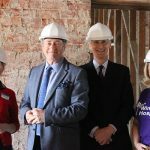 Alan, who is also a best-selling author and the Chancellor of the University of Winchester, was pleased to hear that such a space is being planned for the hospice. 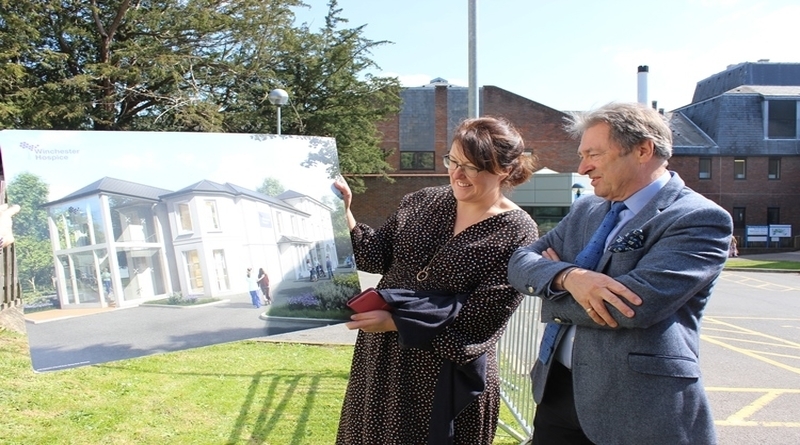 It’s a wonderful opportunity to have this space within the grounds of Winchester Hospice to create a place where patients and their loved ones can spend time together enjoying the outdoors,” he said. “Gardens are an extension of any space, and having a garden is a vital part of hospice work. The reason I’m a gardener is because I feel better when I’m in a garden, and I hope that those who will use the garden will feel the same. 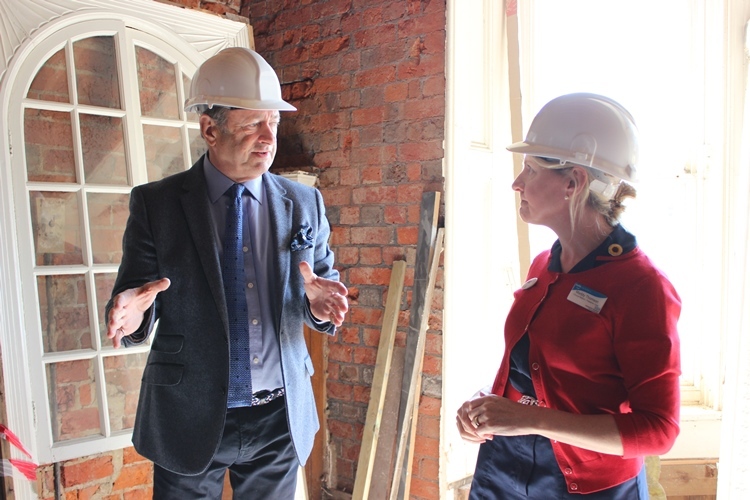 It’s easy to visualise what a fantastic space this will be for patients and their families and I really look forward to seeing this space transform. 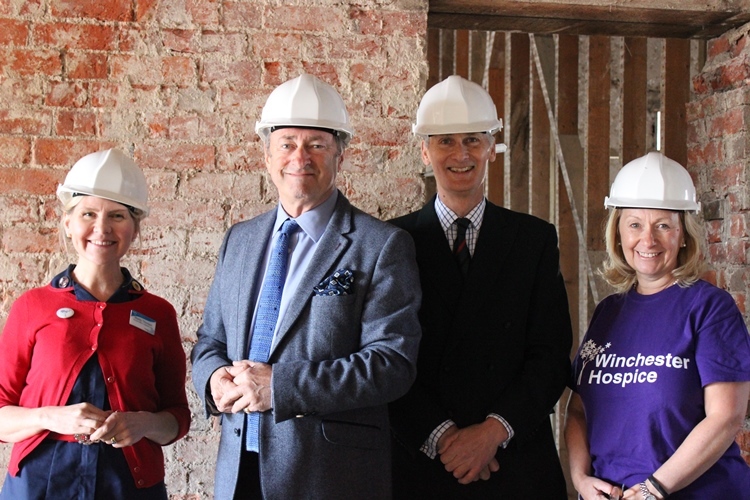 I wish everyone involved with Winchester Hospice the best as they continue to fundraise to create this hospice for the local community. 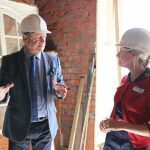 In addition to seeing the space that has been allocated to the garden, Alan was shown around Burrell House, a building with a rich history in Winchester. 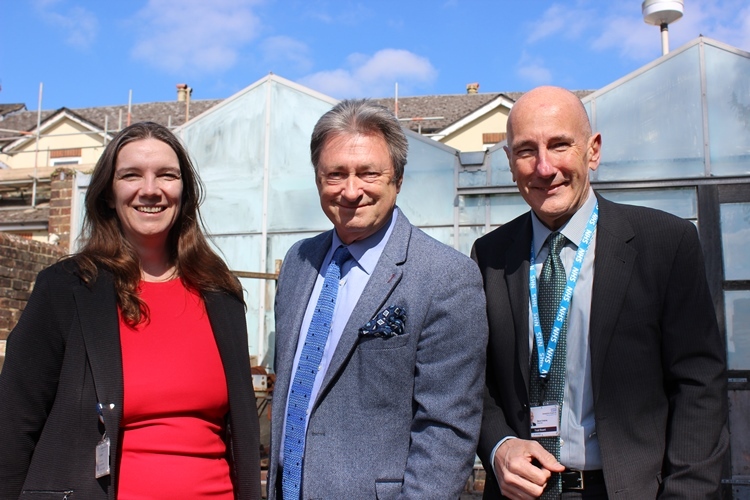 A £3million fundraising campaign is underway to transform the building into a much-needed 10-bed hospice and palliative care hub, providing specialist care for patients. 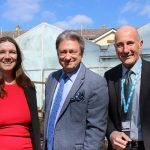 It was fantastic to welcome Alan Titchmarsh and representatives from the University of Winchester and Hillier Nurseries to have a look around Burrell House. I would like to thank them all for their support and for taking time to hear all about Winchester Hospice. The garden will be a peaceful place for patients and their families and friends and having Alan here today has got us off to the best possible start. 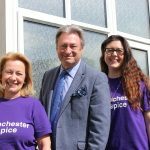 Winchester Hospice will be run and staffed by Hampshire Hospitals NHS Foundation Trust, which runs Royal Hampshire County Hospital, as well as Basingstoke and North Hampshire Hospital and Andover War Memorial Hospital, as well as the Countess of Brecknock Hospice in Andover. 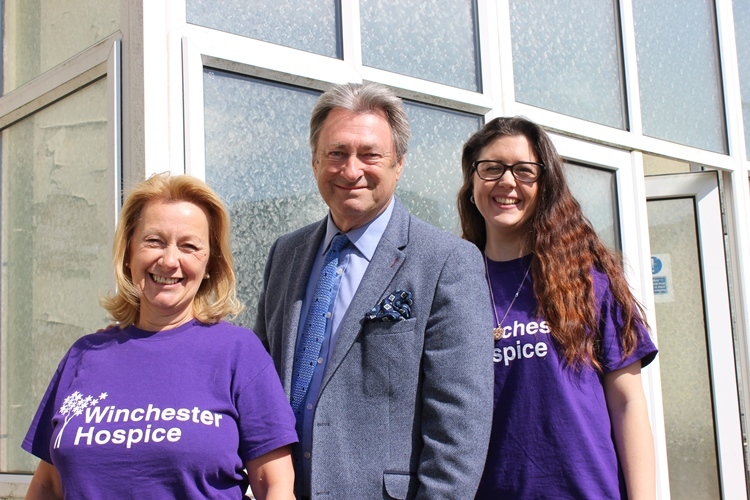 We are all thrilled to have received Alan’s support and to have had the opportunity to tell him why Winchester Hospice will be such a vital addition to the services we are able to offer to the local community. Winchester Hospice will enable us to provide outstanding care and support to patients and their families at what is a very difficult time, and we know that providing a special outdoor space is just one of the ways we can do this. As well as providing inpatient care, Winchester Hospice will provide a hub for specialist palliative care in the community through outpatient services, therapies and caring for people in their own homes. As there is no hospice currently located in the city of Winchester, patients with life limiting illnesses and their families can often spend a considerable amount of time travelling back and forth from their homes to receive care or visit a loved one. For more information about Winchester Hospice and how to get involved, visit www.winchesterhospice.com.